Have you done the usual routes, and now want something new? 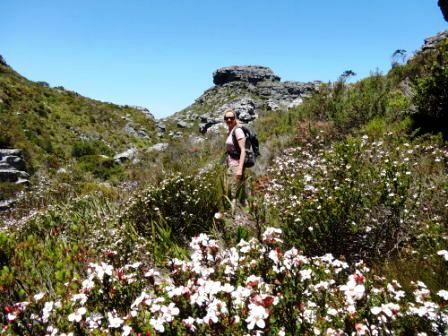 Do you want to get away from it all and really get to know Table Mountain? 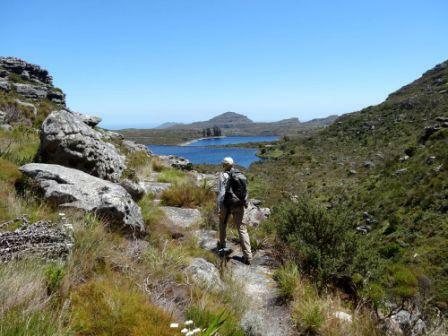 Starting from the Camps Bay area, Mike will guide you up one of a variety of routes, stretched along the Atlantic coast of Cape Town. Views abound of glittering ocean and distant horizons. Once up, you will have the option of exploring the dams and reservoirs built a long, long time ago. You can then descend by foot or shuffle over to the trusty cable car for a ride down. Cost R1200 per person (minimum two people), excluding Cableway descent and taxi back to starting point. Difficulty Chat to Mike about the options, as routes range from walks to technical scrambles.